I’m Ayesha, I’m 21, a mum and a midwife in the making. I want to share my story on how becoming a parent only enhanced my ability, motivation and determination in achieving my dreams. I’m not going to lie it’s not been plain sailing but I’m happy in how far I’ve come and where I’m headed. Taking it back to 2014, I fell pregnant which unfortunately ended with me miscarrying at 12 weeks. This is where I fell in love with midwifery and realised that being a midwife was my calling. It was also the point where I knew I definitely wanted more children someday after I’d built my life with having my own home, having a car and achieving my career goals. That did not quite go to plan, fast forward three months later, January 2015. I found out I was pregnant with my daughter Eliza, who was born in the September and is now a crazy 2 1/2 year old. Knowing how much I wanted to become midwife and how much I was ready to be a mum- I knew I had to accomplish all my aspirations to provide my ‘ideal’ life for Eliza and any of my future children. I thought I had to prove the world that I was capable of being a mum and providing for my daughter at the age of 19 due to stigma and stereotypes of a young mums – in fact that thought gave me more drive to achieve my goals. Parenting really got to me at times and it stills does, it does anyone I think. Not just the responsibility of caring for my daughter hit me after giving birth, but It was the reality that I now had home to run, furniture to buy – I had to be an ADULT. Trying to move out with a newborn who I was exclusively breastfeeding, SUCKED. It was just all of that, that motivated me to get it all done. After 6 months of being at home 24/7 with Eliza, I really began to feel lonely because I’d lost my identity to just becoming “mum”. I set out a 5 year plan, to make my dream and wishes come true but to also provide a stable household and environment for Eliza. I had to achieve this plan, I felt this strength that I had never felt before and that was my child pushing me to do better and to get what I needed to get done, DONE. I started off by doing my driving lessons as I knew it’d be beneficial for the future. 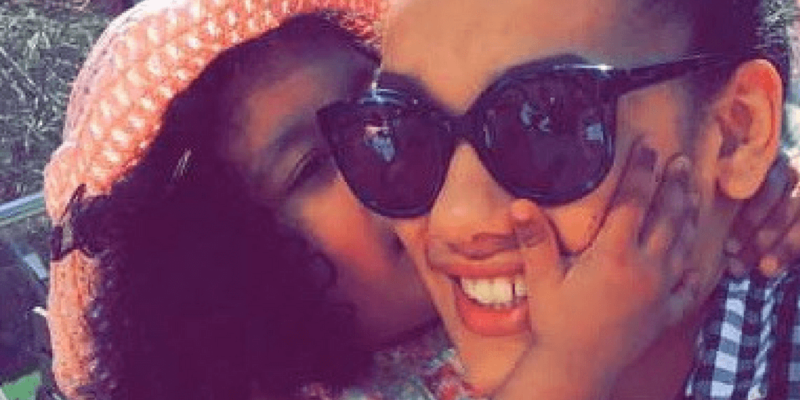 September 2016, I started college to do my Access course in health science professions, I began to feel myself again but that mummy guilt would kick in every time I dropped Eliza off at nursery. I had to remember that even though this was for me it was to provide the best life for her as I could. Throughout the course doing the work at home was sometimes a major struggle, Eliza NEVER wanted to sleep when I had an assignment due or an exam. It tested me beyond doubt, and I always questioned how am I going to complete this or make it through university for 3 years. What kept me going to achieving my target goal in becoming a midwife is that I had to constantly set mini targets, so it did not feel I had mountain to climb. Those little success’ such as passing my driving test, saving up for a car and getting the 39/45 distinctions in my access course, are the ones that continued to motivate, boost my confidence and determination towards my future goals. I wanted to give up when I didn’t receive a university place but I knew I could not because Eliza is my life, what would she think of me in 10 years time?! I just had to alter my plan slightly and stay focused. Now almost finishing my first year, it’s been a rollercoaster of emotions, being a parent, studying and attending placement is hard to juggle. Parenting doesn’t just stop when your not with your child, Eliza is constantly at the forefront of my mind – what she’s going to eat for dinner? Have I spent enough time with her before she goes to bed? I have to sort Eliza out and the house before I even thinking about starting my work. In the past 2 1/2 years of being Eliza’s mum I feel like I have achieved soo much, more than I have ever achieved at any point in my life. She relies on me, I am her world, she looks up to me – that’s why I refuse to give up because she’s always watching. If I didn’t have her I would not of achieved half the things I have done. My advice is, if you want it enough you can find a way. YES, it is tough but think of it as whatever your trying to achieve THIS is only a fragment of the rest of your life. Set mini targets, ask for help when you need it and never doubt yourself.